We just listed to absolutely amazing home located East of Rt. 1 in Lewes, DE. 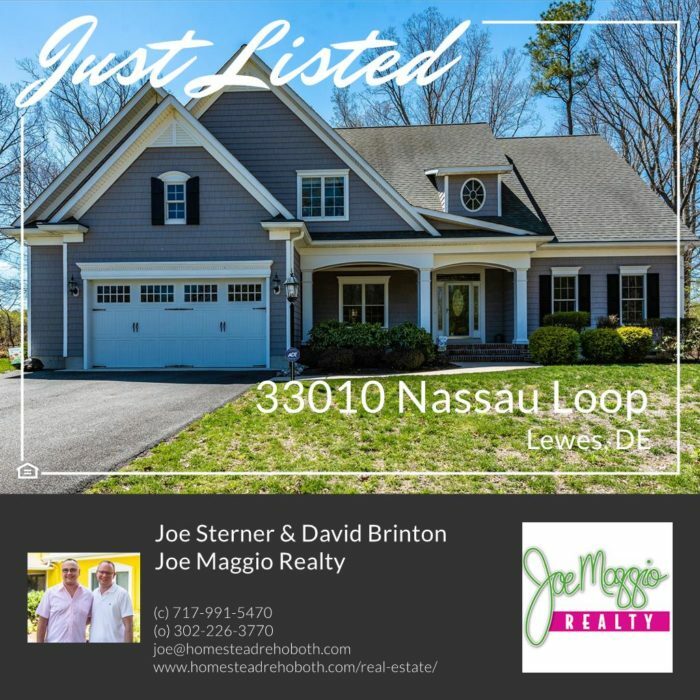 It features 3 extra large bedrooms, a huge office, gourmet kitchen, family room with a cozy fireplace, formal dining room, and a spacious screened in porch on a property that backs up to woods. Click here for a more detailed description and view lots of pictures. Call Joe & David on their cell at 717-991-5470 to arrange a tour.